So new in the store Rockatee – 3 things you should know about my spoiled Wife shirt. 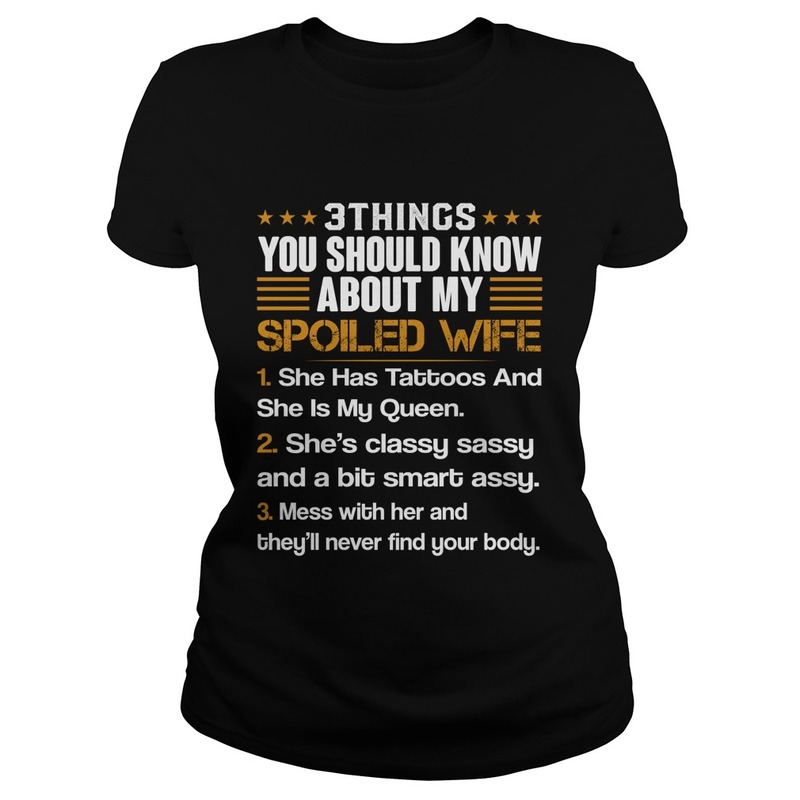 3 things you should know about my spoiled Wife t-shirt: She has Tattoos and she is my Queen. She’s classy sassy and a bit smart assy, Mess with her and they’ll never find your body. So great gifts idea for your wife.